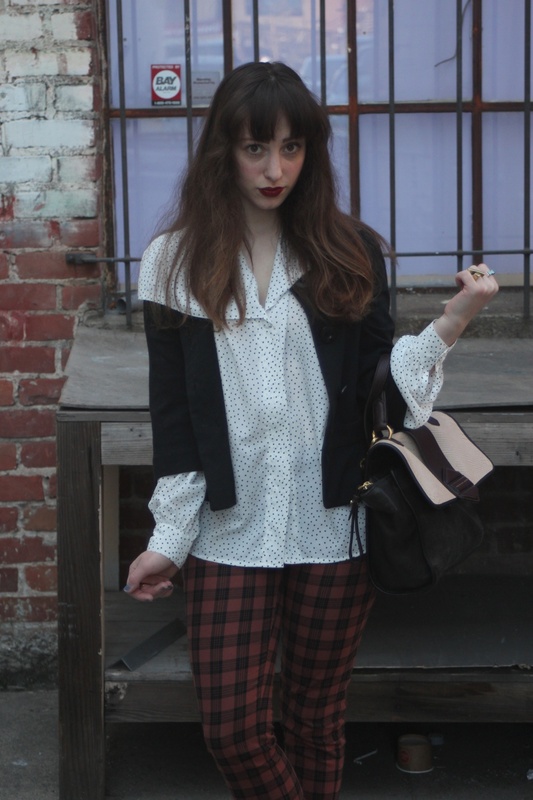 Polka dots and plaid--they even alliterate! I could not think of a more fun print combo. Punky plaids have been in so many runway shows this season, so I have loved seeing new ideas with this age-old print! 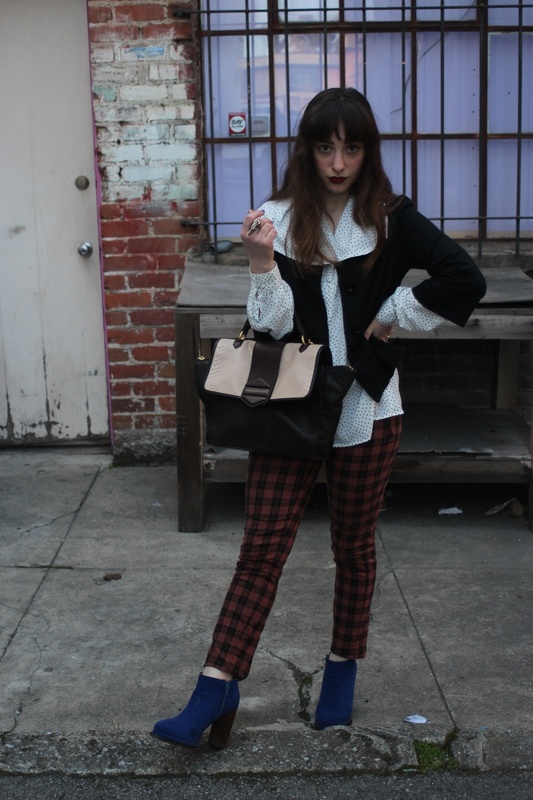 Obviously the focal point for this whole outfit is my plaid bottom. I somehow snagged this pair of skinnies on a Rue La La super-clearance sale. At the time I did not know that the Ben Sherman women's line had been discontinued, and that my purchase was a final chance at owning any piece from this awesome collection. It was a definite score. 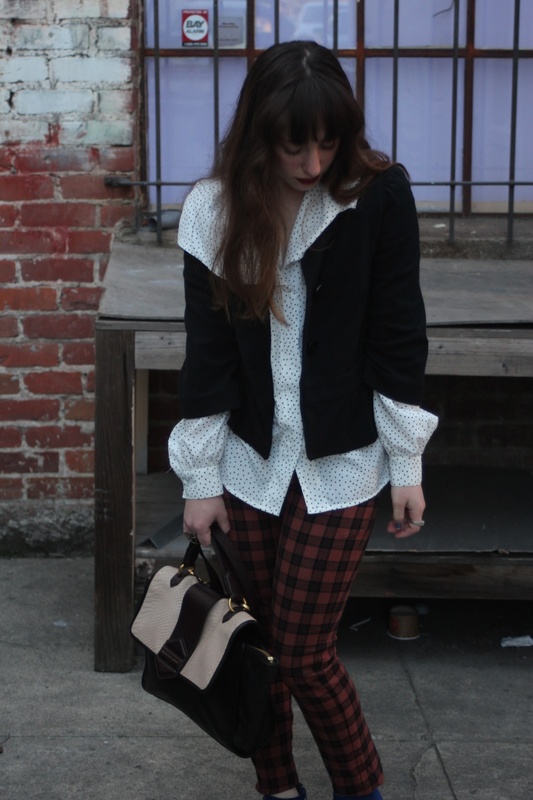 In addition to my plaid pants, each of the other pieces has simply been used to compliment the entire aesthetic. They have a focus, but everything somehow pops, and yet still lets the pants take center stage. Life is about balance, so is fashion!